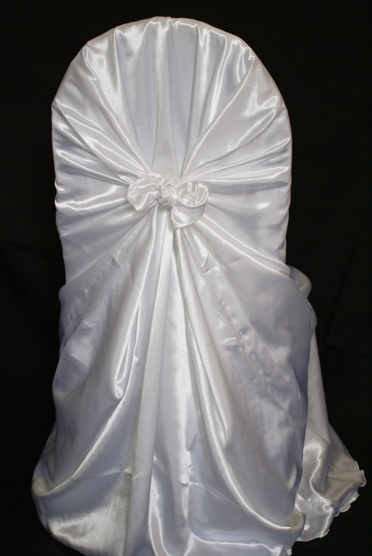 Rental Chair Covers Satin Universal Self Tie White, for your Wedding, Event or Banquet on the Houston area. Rent Chair Covers Satin Universal Self Tie White for weddings, anniversary celebrations, banquet, particular parties, corporate events and all other special events. 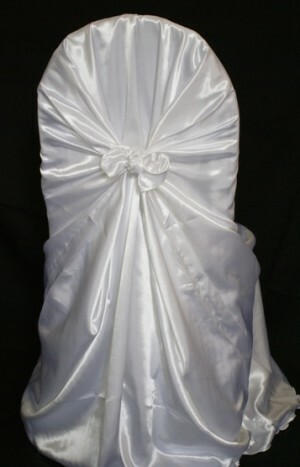 Our Chair Covers Satin Universal Self Tie White are made from high quality chiffon material.